Something to look forward to: There have been several stories about Samsung’s foldable Galaxy X handset over the last 12 months, including a possible listing in 2017 and rumors that it will appear at next year’s Mobile World Congress event. Now, a report in the Korea Times also supports the 2019 release date and suggests how much the device might cost: just over $1800. Samsung has been working on a smartphone with a foldable screen for years. With so many of today’s flagships being virtually identical in design, with the possible exception of the Vivo Nex, a device this innovative could shake up the market. But it comes at a cost. According to Kim Jang-yeol, head of research at brokerage firm Golden Bridge Investment, the Galaxy X will be released in the first half of next year and cost about 2 million won, which works out at around $1830. If true, that would make it close to double the price of an iPhone X.
Kim believes the phone’s OLED display will measure 7.3 inches when opened out and can be folded down to 4.5 inches. Samsung has filed several patents related to the Galaxy X, including one for “artificial muscle,” which allows the components to move in sync with the screen to protect them from damage. “This new device is an interesting thing as it will have two inside panels and one outside panel with the two inside panels forming the 7.3-inch screen when the phone is unfolded,” said Kim. Park Hyung-woo, an analyst at Shinhan Financial, also believes that the handset will arrive in 2019. "Parts affiliates and first-tier subcontractors will begin supplying parts to Samsung Electronics' handset division beginning in November, at the earliest, with the company assembling the phone aiming for a launch next year," he told the publication. Samsung president of mobile, Koh Dong-jin, has confirmed the device, but we’ve heard no official news of a release date or possible price from the company. 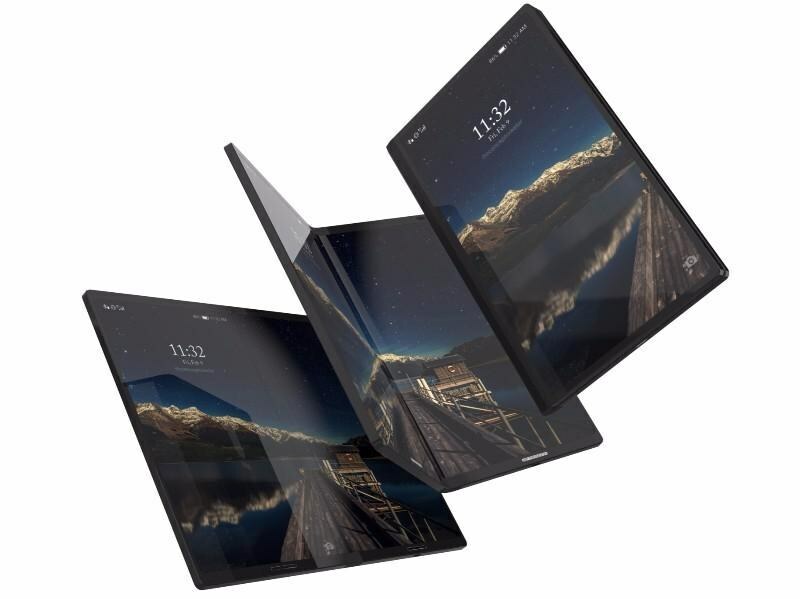 Spokesperson Kim Choon-gon said the firm was on track to develop a device featuring a "true foldable display." With such a high price tag, Samsung won’t be expecting the handset to sell in the same quantities as its other Galaxy phones. But beating its competitors to market will be a coup for the company, and the phone could appeal to those who desire the latest cutting-edge devices, no matter what the cost.